Being a part of AANP is more than just a membership—it’s a real opportunity to make a measurable difference in the strength of your profession and the health of this country. When you join AANP, you are joining a movement—a vibrant, professional community of NPs more than 97,000 strong. That’s 97,000 members who have chosen to put their passion for improving the health of our nation into practice by supporting the advancement of the NP role. From unyielding advocacy and free CE to valuable discounts and exclusive networking opportunities, AANP member benefits support you in all areas of practice and throughout your career so that you can focus on what you do best—providing an unparalleled level of care to your patients. "I am proud to be a part of a large, well-respected organization that advocates for me and advocates for my patients. There is strength in numbers, and the number of AANP members shows that we are a force to be reckoned with." Your AANP membership is customized to be exactly what you need at the current stage of your career. Whether you are just beginning your NP education or retiring from the profession, you can support the NP role while receiving member benefits that, in turn, support you personally and professionally. From free CE and up-to-date news on health care topics to advocacy at the national and state level, AANP membership is here to meet your needs. Being a part of AANP is more than just a membership—it’s a real opportunity to make a measurable difference in the strength of your profession and the health of this country. By NPs and for NPs, AANP continually advocates for your interests and supports your practice. Join the growing NP community and add your support to the strength and stability of the NP role. To join AANP as an NP Member, you must have successfully completed an NP program and be currently certified as an NP with a nationally approved certifying body. NP Members have the right to vote in national and state elections. NP Members desiring to seek national or state office must maintain AANP membership in good standing for the 12 months prior to the date on which the call for nominations begins. For those currently enrolled in an entry-level program that prepares NPs. 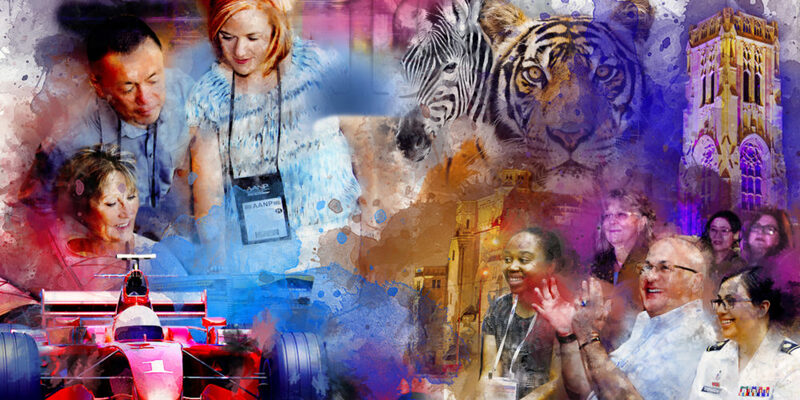 Whether you are looking for one-of-a-kind networking opportunities or you want to tap into the many benefits and resources available to NP students, AANP is here to help you get your education and career off to a wonderful start. Your membership not only provides the personal support you need at this important time in your professional growth but also supports the strength and stability of the NP role—a community you will soon be joining! To join AANP as a Student Member, you must currently be enrolled in an entry-level program that prepares students with no prior NP education. Examples include master's and Doctor of Nursing Practice (DNP) programs or the NP portion of a Bachelor's of Science in Nursing to DNP program. Student Members have the right to vote in state elections. Student Members desiring to seek state office must maintain AANP membership in good standing for the 12 months prior to the date on which the call for nominations begins. For NPs who have returned to school for further education. For newly graduated NPs in the first year of their career. For NPs who want to continue advocating for the NP role during retirement. Retired NP Members have the right to vote in national and state elections. For any non-NP who believes in supporting the growth of the NP role. 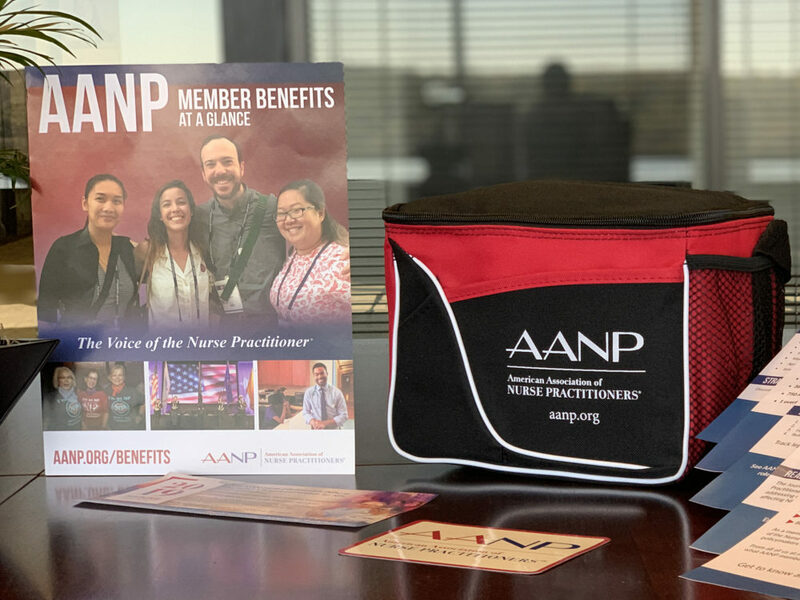 If you believe in the power of the nurse practitioner (NP) role and advancing the high-quality, patient-centered approach to health care that NPs provide, there’s no better way to show your support than with an Associate Membership in AANP. Any non-NP who is interested in fostering the objectives of AANP and the NP role can join AANP as an Associate Member. Associate Members do not have the right to vote in national or state elections. Associate Members can not seek national or state office. Join an SPG to connect with others who share common goals for advancing knowledge and best practices in select areas like acute care, pain management, cardiology, dermatology and more. Learn how your organization—whether an NP association, employer of NPs or a private company—can align with the growing, nationwide NP community. The Fellows of the American Association of Nurse Practitioners (FAANP) are selected based on their outstanding contributions to clinical practice, research, education or policy. Discover what it takes to join the ranks of these visionary NP leaders. Use the code AANPSuccess to join more than 97,000 members in supporting NPs and the NP role—and receive a free AANP lunch bag!